This weekend, Nashville made a name for itself as not just a music city, but a denim city. The first Nashville Denim Days, sponsored by TENCEL™ Fibers, took place Nov. 10th and 11th, and the two-day denim festival and shopping event proved a hit with denim lovers from all over. 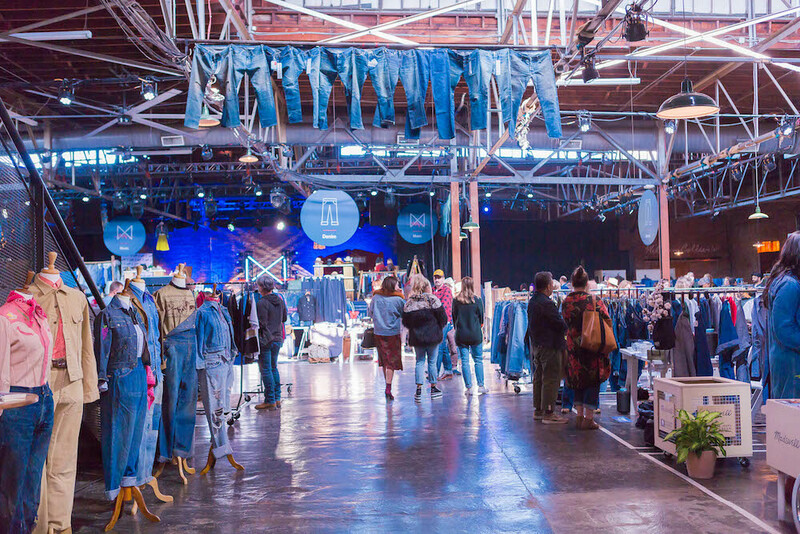 Held at the city’s Marathon Music Works, Nashville Denim Days featured interactive displays, indigo dyeing workshops, it showcased new denim designers alongside more established brands, and had denim mills along for the ride, too. More than that, the festival’s Denim Talks helped highlight what’s new and next in denim. In a seminar titled, “The Evolution of Fashion + a Peek at the Future,” highlighted what young designer Natalie Busby, winner of the Nashville Fashion Alliance’s brand builder award, and Emily Phillips, the brains behind her eponymous Nashville-based brand, had to say about denim.